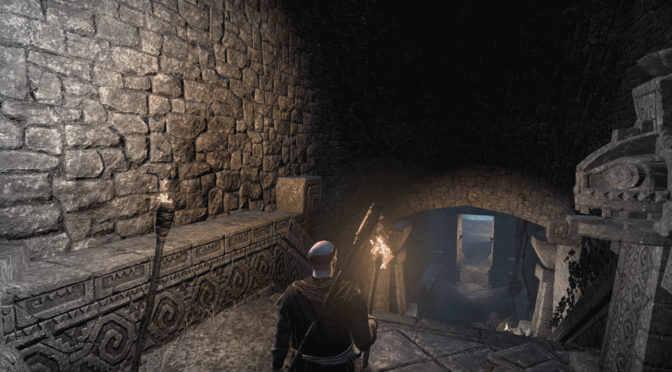 Argonian scholars are uncertain whether the Chid-Moska xanmeer should be considered part of the larger Xal Ithix complex, or if it is a separate site built by an even more ancient tribe of Lizard-Folk. 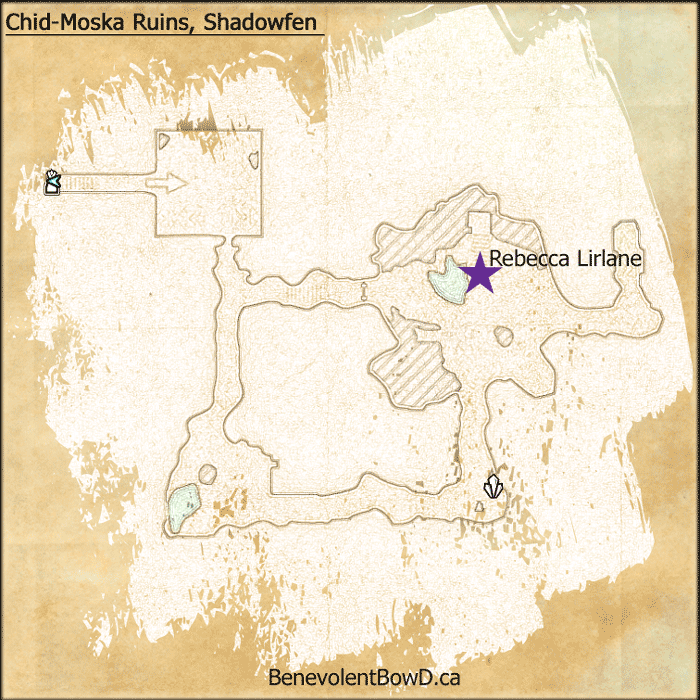 Chid-Moska Ruins are located in southwestern Shadowfen. 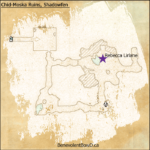 Nearest wayshrine is Loriasel Wayshrine. It is a small looping delve and contains mostly provisioning containers. Overall, a below-average place to farm crafting materials as you would have to relog to reset the containers. No chests or heavy sacks observed. White gear mostly (did find a blue restoration staff). Found one intricate item, and one green piece of Swamp Raider’s Boots.